Since the server exhausts heat out the rear of the server, always measure the ambient temperature and humidity in front of the server. 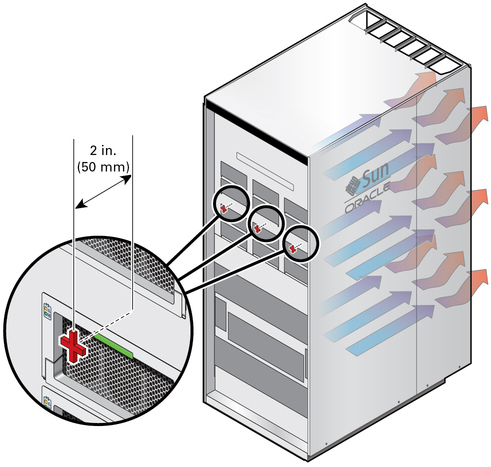 Measure the ambient airflow temperature and humidity 2 inches in front of the server and between the power supplies. See Environmental Requirements for the ambient temperature and humidity ranges.